The first piece of paid downloadable content will hit Japan in the spring of 2012. PC games have had it for quite some time. PS3 and Xbox 360 games have both had it since launch. Now, the 3DS is getting it. "It" is the simultaneous blessing and curse of downloadable content. 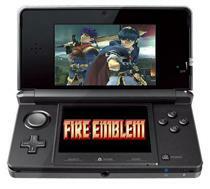 The first piece of DLC for the system will be for the 'Fire Emblem' game that hits on April 19, 2012. Nintendo president Satoru Iwata revealed the game in a video presentation but failed to detail just what the downloadable content for the title would be. It's an interesting move, especially since Iwata has expressed an distaste for certain types of DLC in the past. Iwata has said that small pieces of DLC with limited benefits such as upgrades to characters are the kind of thing that damages relationships with customers.